A number of Putnam residents have received calls in the past week from con artists purporting to be representatives of the NYS Department of Taxation and Finance. The Sheriff’s Department along with town and village police throughout the count… Please login below or purchase a subscription to the Putnam County Courier to access this content. 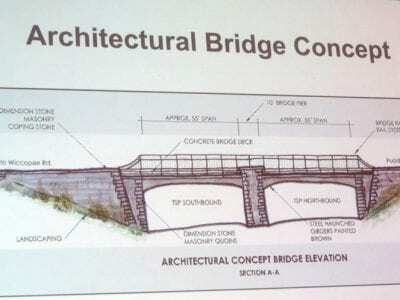 A rendering of the finished product, designed to separate Pudding Street traffic from the Taconic via a bridge. More than 350 people crowded into Putnam Valley High School Friday night for a public forum to hear first hand from state officials how th… Please login below or purchase a subscription to the Putnam County Courier to access this content. 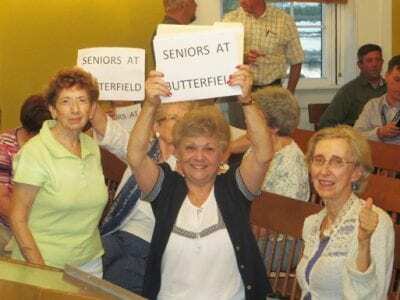 Seniors in support of the center hold up signs at the meeting. For the second time this month, it was standing room only at the historic Putnam Courthouse Tuesday evening for a marathon meeting of the Putnam County Legislature. Following two hours of… Please login below or purchase a subscription to the Putnam County Courier to access this content. One of Putnam’s most prominent attorneys and current Philipstown Town Justice and Acting Cold Spring Village Justice Alan Steiner will be stepping down from his judicial positions next month. 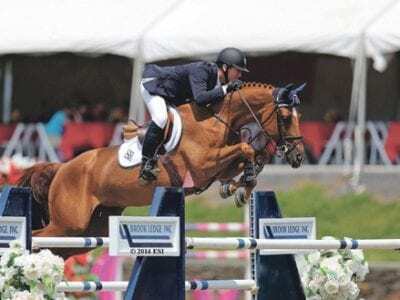 Steiner, a resident of Garrison and a practicing at… Please login below or purchase a subscription to the Putnam County Courier to access this content. John Imor (center) is honored at his Eagle Scout ceremony. John Imor is Putnam County’s most recent Eagle Scout. 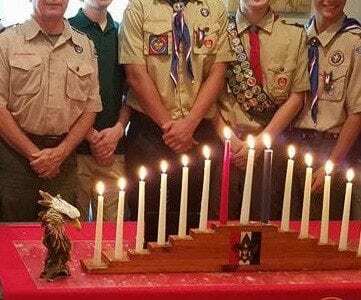 Surrounded by nine other Eagle Scouts from Brewster Troop One along with his parents, Barbara and John Imor, and his sister, Natali… Please login below or purchase a subscription to the Putnam County Courier to access this content. Manitoga will soon present some of Russel Wright’s dinnerware designs, inspired by nature. “Nature in Design” will feature lines including Harker’s White Clover, Grass and Queen Anne’s Lace by Knowles Esquire, and Flair’s Ming Lace… Please login below or purchase a subscription to the Putnam County Courier to access this content. Boscobel and The Living History Education Foundation present an all-day encampment of soldiers honoring its ties to such legendary wars as the American Revolution, the War of 1812, the Civil War and World War II on Sunday, Aug. 28, from 11am-4pm. 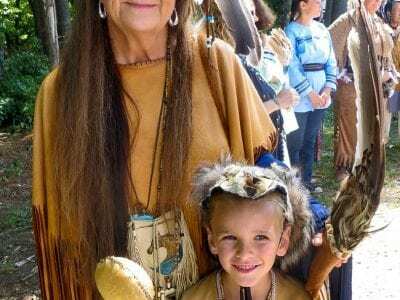 Re… Please login below or purchase a subscription to the Putnam County Courier to access this content.